Mountain Nyiragongo in Congo is a massif stratovolcano standing at an altitude 3470m in the Virunga mountains closely linked with the Albertine Rift valley. 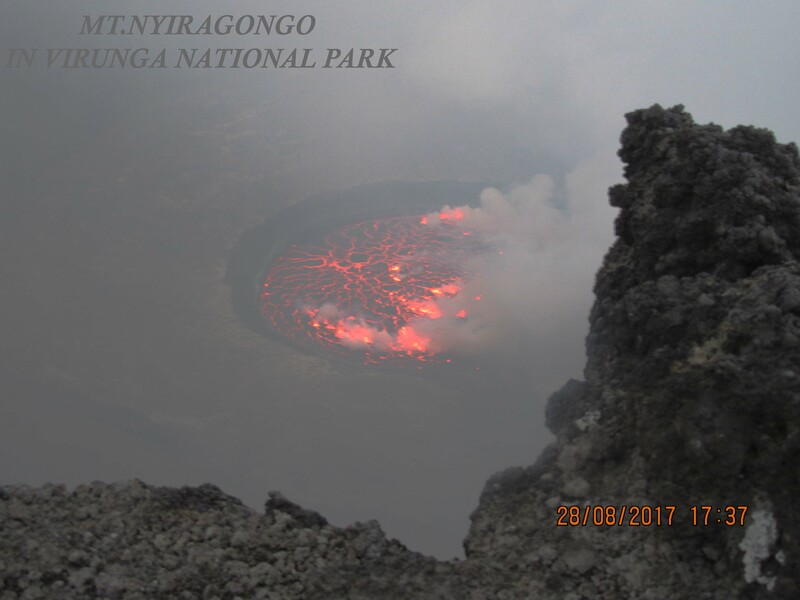 Nyiragongo Volcano is located in Virunga national park, 20km north of Goma town and lake Kivu in Democratic Republic of Congo, adjacent to the west of Congo-Rwanda border. Mount Nyiragongo`s main crater is approximately 2km wide containing a lava lake. 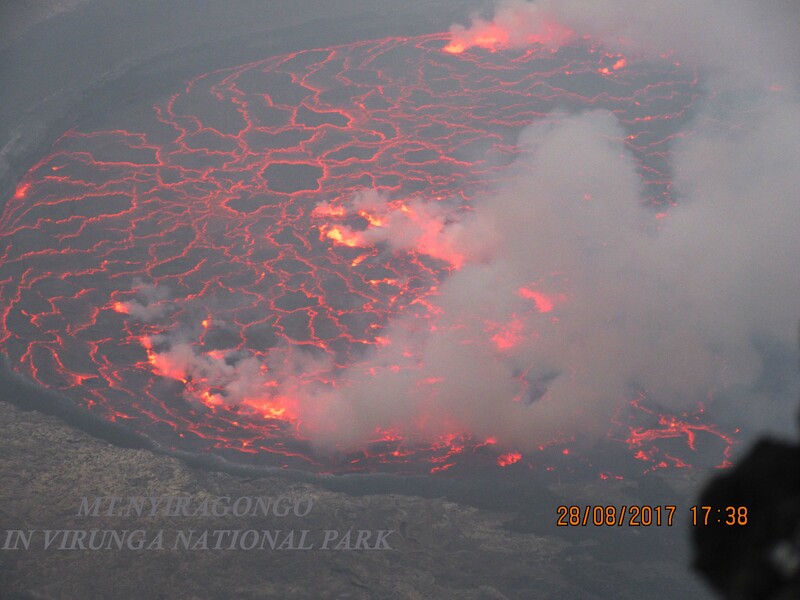 The Lava lake at Mountain Nyiragongo is endowed with two airy lava benches the upper one at 3175m and the other at 2975m within its crater walls. Congo`s volcanic mountains-mount Nyiragongo and mount Nyamuragira, take approximately 40% of the volcanic eruptions in the history of Africa. Mount Nyiragongo in Congo houses the world’s largest lava lake. 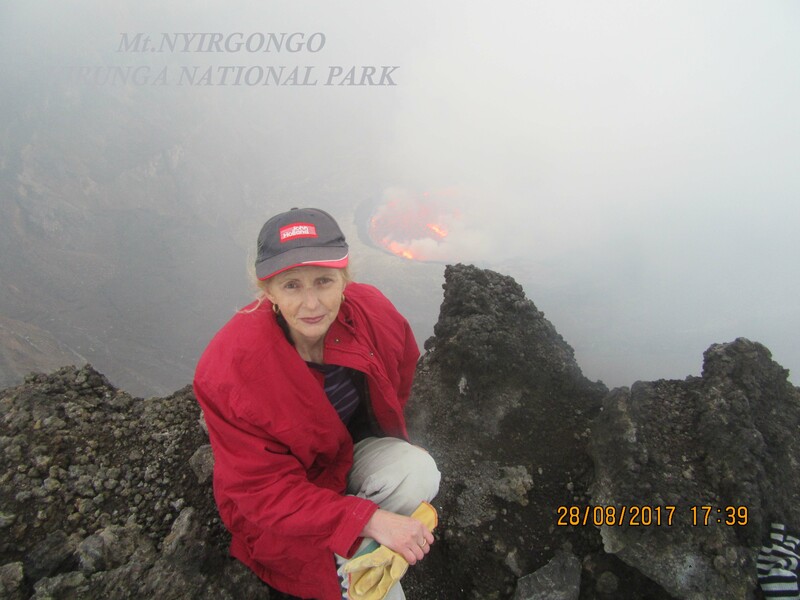 The world`s largest active lava lake has become eminent since 1960`s and 70`s depending on various studies about Nyiragongo volcanic mountain from volcanologists like Kraffts and Tazieff. Mount Nyiragongo has proved being lively for a half a century when it erupted and drained the lave lake in 1977. What makes this stratovolcano the most dangerous is that, it killed over 1000 people during the 1977 eruptions. Similarly, in 1994, refugees from Rwanda who fled Congo caused a lot of destructions during the eruptions. In January 2002, the lava flows drained lake Kivu to a depth of 150km through Goma town. From 2002 up to date, there are still some seismic tremors and smaller eruptions which shows that mount Nyiragongo is still an active volcano. Currently, this volcanic mountain has erupted at least 34 times since 1882. Nyiragongo is an adrenalin fueled traveler’s dream. If hiking the slopes of an active volcano and sleeping in a hut perched on the rim of one of the world’s largest lava lakes sets your heart thumping, then this is the adventure for you. Watch the bubbling cauldron from a safe distance and get a sense of the Earth’s fiery heart as the lava heaves, breathes and pops with hot gases. If stayed overnight you will watch the spectacle in the dark, and rise early morning to appreciate the wide view from above the clouds before descending. Truly unforgettable, we guarantee it!. 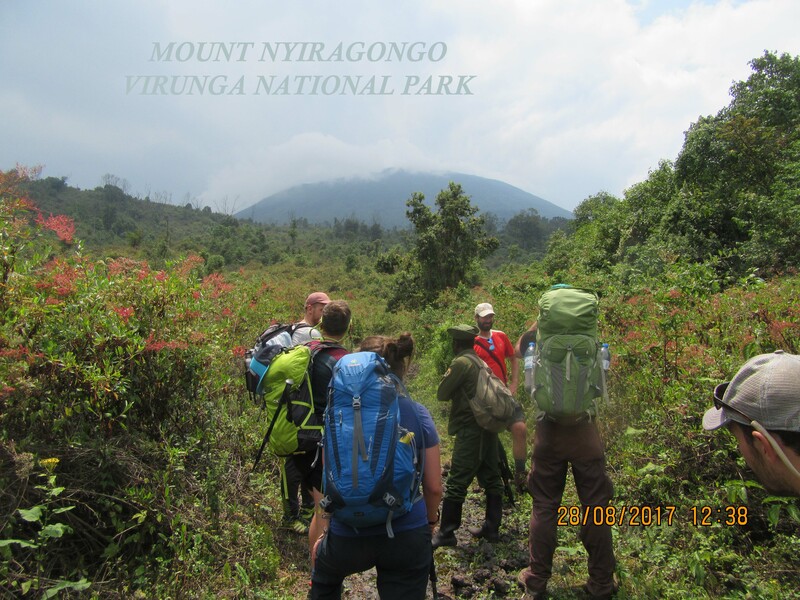 Nyiragongo is just the second reason after gorilla tracking that Virunga National Park is an active travelers dream. Just visualize a hike to the top and then an overnight next to the world’s largest and most astonishing lava lake. The Nyiragongo Volcano inhabits a wide of animal species in its lower forested slopes like human relatives- chimpanzees, monkeys, and bushbucks. The summit rim of mount Nyiragongo is mostly bear with no vegetation and usually covered with snow. While on the rim, guests can take steps down into the churning lava lake, glance and experience the hot gasses as they explode up through a mosaic of molten Lava. Watch the bubbling cauldron from a safe distance and get a sense of the Earth’s fiery heart as the lava heaves, breathes and pops with hot gases. If stayed overnight you will watch the spectacle in the dark, and rise early morning to appreciate the wide view from above the clouds before.. The summit rim of mount Nyiragongo is mostly bear with no vegetation and usually covered with snow. While on the rim, guests can take steps down into the churning lava lake, glance and experience the hot gasses as they explode up through a mosaic of molten Lava. Hiking to the summit of mount Nyiragongo an active volcano commences at the Kibati patrol post, approximately a half an hour by car driving from Goma town and not more than an hour from Mikeno lodge. 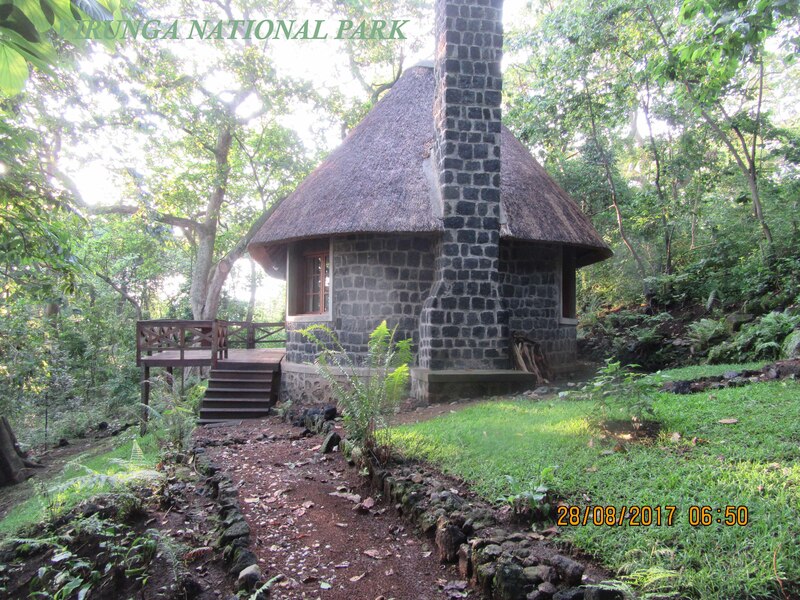 The hiking activity is led by the professionally experienced Virunga national park rangers. Should you require to carry luggage to the top like cameras, binoculars and other hiking gear, native porters are frequently available for hire at a simple amount. 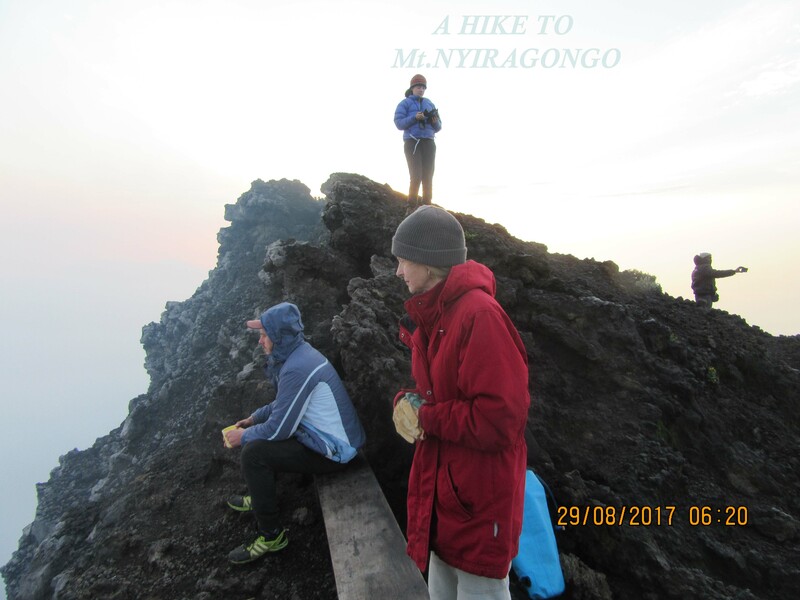 Hiking to the summit of Nyiragongo is a simple experience for passionate travelers. Depending on how fit a group or an individual is, the hiking to mount Nyiragongo summit in Congo costs between 4-6 hours. Simply the Brave`s cake! If the group is fit enough, Hiking mountain Nyiragongo and descending on the same day is possible though exhausting. 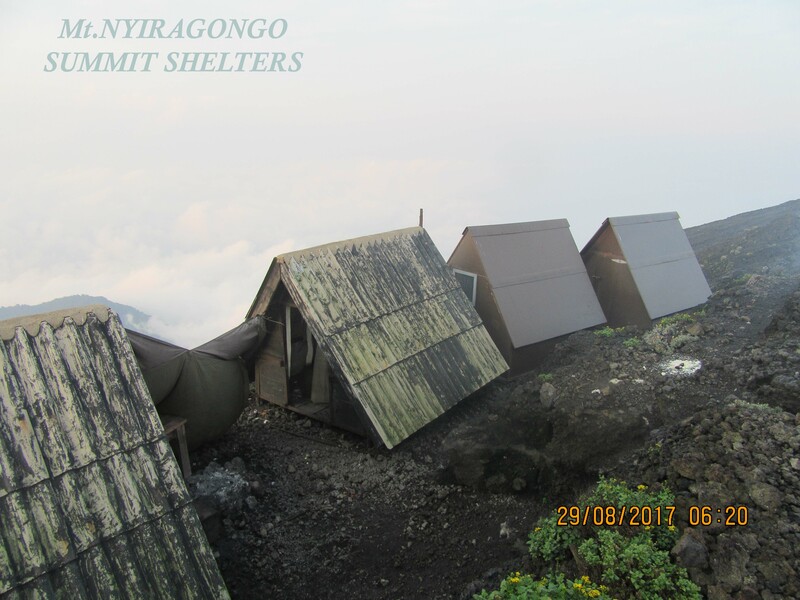 Alternatively, hikers are advised to spend an overnight in the basic accommodation present at the top of mountain Nyiragongo. Hiking to the top of mount Nyiragongo is surprising and a funny experience. Yes, its a mountain and you expect people to be sweating while hiking, but hey! your advised to carry a raincoat and cold weather gear along with you. Frequently, yow will experience rain showers during hiking to the top of mount Nyiragongo in Congo and in rainy seasons, the temperatures here can decrease to even below 00C/320F. Hiking to the summit of mount Nyiragongo an active volcano commences at the Kibati patrol post, approximately a half an hour by car driving from Goma town and not more than an hour from Mikeno lodge. 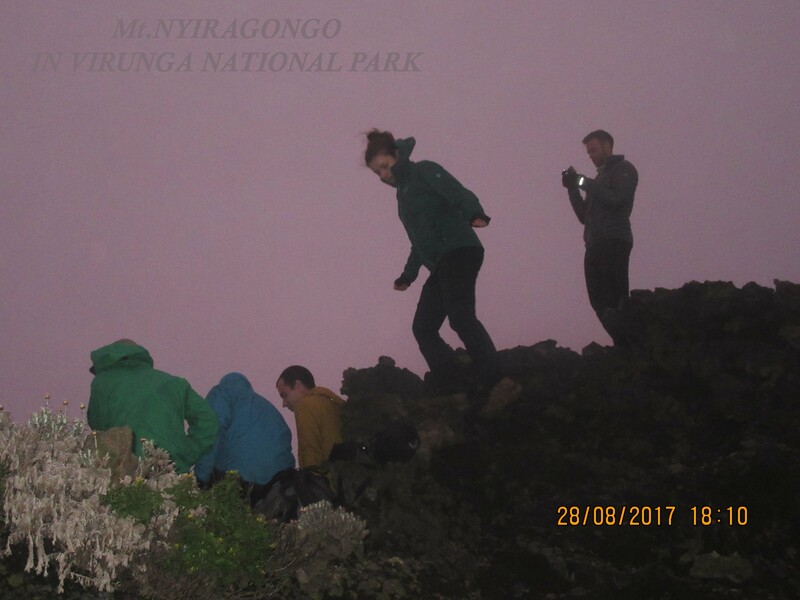 Hiking to the summit of Nyiragongo is a simple experience for passionate travelers. Depending on how fit a group or an individual is, the hiking to mount Nyiragongo summit in Congo costs between 4-6 hours. Hiking to the top of mount Nyiragongo is surprising and a funny experience. Yes, its a mountain and you expect people to be sweating while hiking, but hey! your advised to carry a raincoat …. Housing at the peak of Mount Nyiragongo is the smaller basic tents provided with a decent mattress and pillows. Each tent is meant for two people but since they are small, you will be in close qarters with your tent mate! There are eight cabins, each for two people. Some are up closer to the crater’s rim, while others are down below. Housing in the upper cabins allows you to pop out of your tent for a look in the crater at a moment’s notice however even those sleeping in the lower cabins will also access the lave lake. The higher cabins are colder because of wind as compared to the upper cabins.